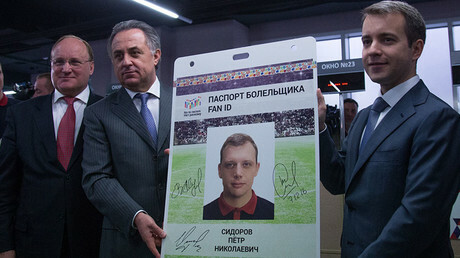 The real Russia and its people are completely different to Western stereotypes according to foreigners who are in the country hoping to become volunteers for the 2018 FIFA World Cup. “I like the fact that I can have a place in this event,” Frenchman Damien Remy, who applied to become a volunteer at the FIFA World Cup 2018 in Russia, told RT. “I can help because I know not only Russian but French, German and English,” the 29-year-old explained. Damien began studying Russian extensively three years ago after arriving in Moscow. He says he succeeded in learning the difficult language because he wasn’t concentrating on grammar too much and never feared to make a mistake while talking to native Russians. Singing Russian language songs in the shower was also very helpful, he added. Despite spending three years in Moscow, Remy admitted that he still feels uncomfortable during the cold winters, expressing his amazement with Russians who go cycling in -30 Celsius temperatures. The young man said he too was a victim of the same Russian stereotypes (the mafia, rampant vodka drinking, and grumpy closed people) which many in Europe have. “When you break the ice you see really warm people,” who quickly become your good friends, always willing to help, he said. “I always wanted to take part in such event as the Confederations Cup or the World Cup. It’s fate that I’m in Russia now. I hope I’ll be accepted. I’m ready for everything,” he said. The 26-year-old came to Russia two-and-a-half years ago, knowing only a few words, but now he’s a student at the Russian New University and is fluent in the language. He said it was hard at first, but he put a lot of effort into learning the grammar and wasn’t shy to speak to people. Daniel also said that listening to local music helped and confessed to being a fan of Russian rock, especially, the classic 80s band Kino and their frontman, Viktor Tsoi. He also advised World Cup guests to drop their stereotypes, saying that he never met a single bear in the street and was amazed by the “Russian character” and the warmth of the people. Another wannabe volunteer, 58-year-old Lorenzo de Chosica, has been dreaming of coming to Russia since he was three years old. In 1961, he and his family were fascinated by the first human space flight, carried out by Yury Gagarin of the USSR, de Chosica said. Lorenzo came to Moscow in 1980 as part of the Peru-USSR university exchange program, saying he “felt happiness” when he won the right to make the trip. He’s now reading lectures at the Moscow Aviation Institute, which saw 13 of its students graduating and becoming Russian cosmonauts. He also enjoys Russian music but prefers songs from World Word II, which he sings while playing the guitar, saying he feels for the tragedy experienced by the country. 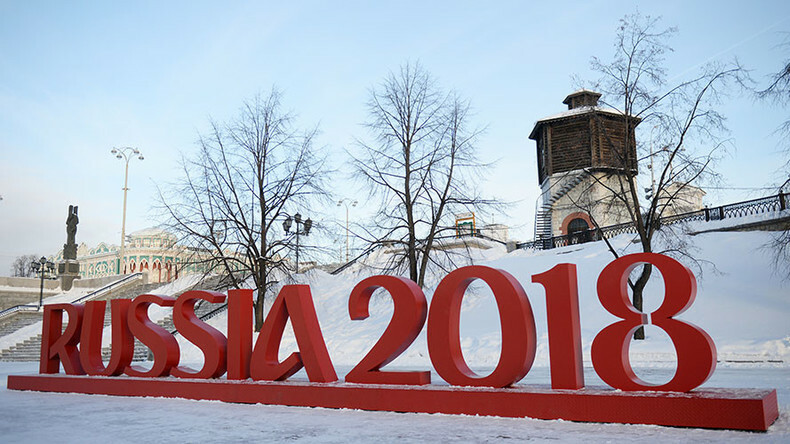 Russia’s is “a country that shares its knowledge; shares its experiences and which stages such major event like the Sochi Olympics in 2014 at a level which the others can only dream of,” he added. “Russia has helped me so much when I was young. Even before that this country gave me chance to dream. And a dream means going forward. I want to be helpful during the Confederations Cup and the World Cup, like Russia, was helpful to me all these years,” he said. The 2018 FIFA World Cup will be preceded by the Confederations Cup, which Russia hosts between June 17 and July 2, 2017.